A day after a massive barrage of missiles launched by warships and aircraft belonging to the US and its allies hit Syria, CNN released several images they said were provided by the US Department of Defense that allegedly confirm the destruction of all of the intended targets. The media outlet claims that the photos depict facilities in Syria before and after the attack, and allegedly show the damage wrought by the missiles. 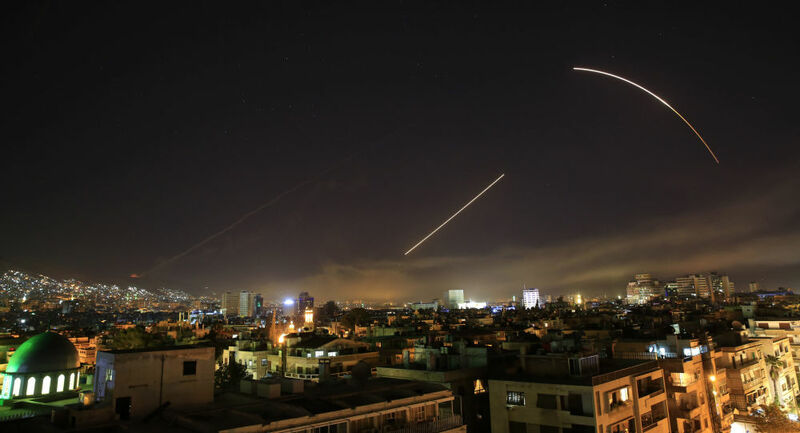 The US Department of Defense claimed that all intended targets were destroyed by the strike, and that Syrian defenses were unable to foil the attacker’s efforts. However, Syrian air defense forces reportedly managed to intercept 71 out of 103 incoming missiles.